Original Australian Daybill movie poster. 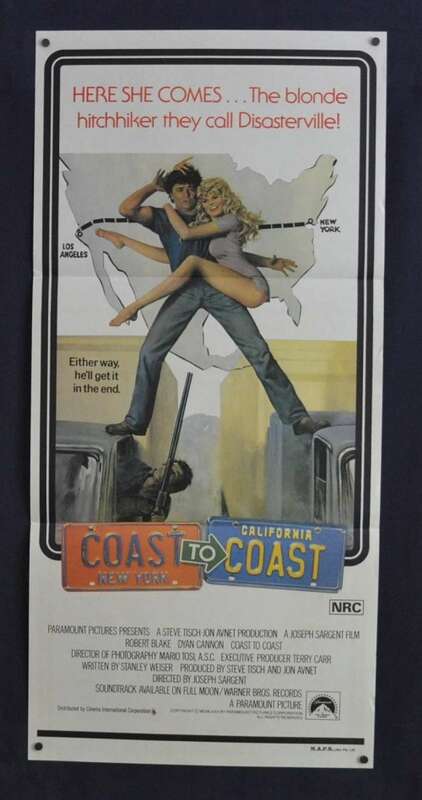 Coast To Coast 1980. Dyan Cannon. Edge Wear / Stains: minor edge wear along bottom right hand border. Comments: A bleed exists on top right hand cream border. Once matted and framed both of these imperfections would not be seen.